The Sinai and Synapses Fellowship is a select interfaith group of clergy, scientists and writers who are committed to elevating the discourse surrounding religion and science. By personalizing the relationship around religion and science, the Fellows are models for a productive conversation surrounding religion and science. 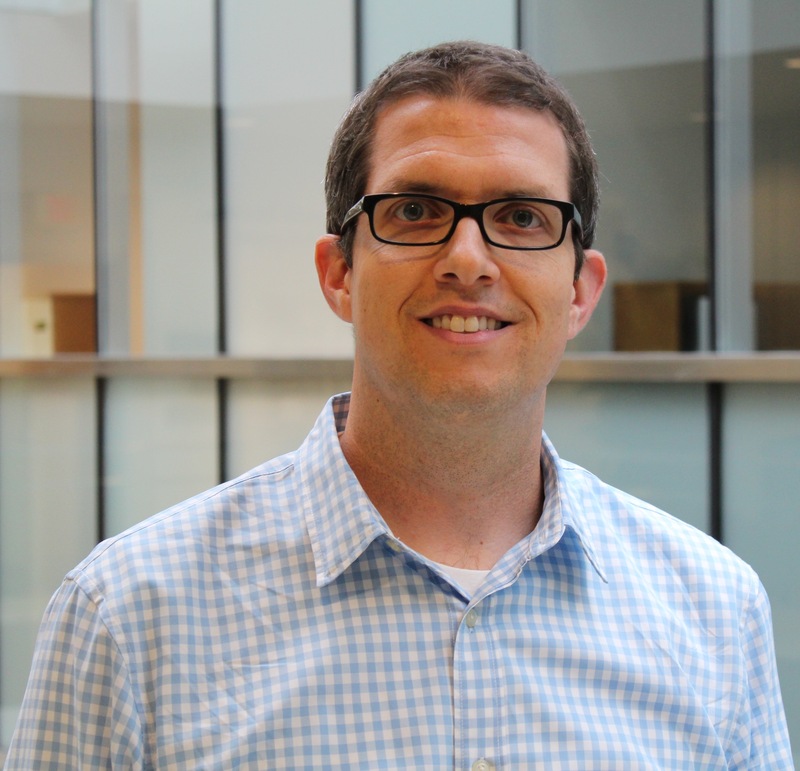 Isaac Alderman is a PhD candidate studying Hebrew Bible at the Catholic University of America. His dissertation, titled “The Animal at Unease with Itself,” examines the cognitive basis for the artificial boundary which humans construct between themselves and other animals through creation stories. He is currently the project leader for the book of Jonah for the upcoming reworking of the New Jerusalem Bible. He has also published articles and presented at conferences on various biblical passages in the context of cognitive science, pedagogy, and reception theory. Isaac lives with his wife and two cats in Providence, RI. Ian C. Binns, Ph.D., is an associate professor of Elementary Science Education in the Department of Reading and Elementary Education in the Cato College of Education at the University of North Carolina at Charlotte. He has a B.S. in Environmental Science and a M.Ed., both from North Carolina State University. His Ph.D. is in Curriculum and Instruction with an emphasis on Science Education from the University of Virginia. Prior to coming to UNC Charlotte, Ian was a faculty member in the College of Education at Louisiana State University. Ian’s research and community work primarily focuses on the interaction between science and religion. His goal is to help people understand science and religion, what makes them unique, their interaction, and how they both benefit society. Specifically, his research looks at how preservice elementary teachers’ scientific literacy and faith-based beliefs influence their perceptions of how socio-scientific issues, such as evolution, creationism, and intelligent design, should be addressed in the classroom. His community work includes public testimony in defense of science in Louisiana, efforts to help the science education community become more aware of attempts to undermine science instruction, and science-faith courses at the Episcopal Church of the Holy Comforter in Charlotte, NC. Laura Donnelly is the Senior Special Initiatives Officer at the Center for Theology, Science, and Human Flourishing at the University of Notre Dame which fosters interdisciplinary research and programming initiatives for scholars and educators. Laura received her undergraduate degree in systematic theology and classical philosophy at the University of St Andrews, Scotland. She then earned her master degrees from Emory University and Yale University studying philosophy, theology, and Islamic studies. Her research interests are primarily concerned with the big questions confronting contemporary societies, questions concerning the social preconditions of human flourishing, truth, justice, and freedom. Sarah Melissa Goss studies climate change, geoscience education, the Anthropocene, and environmental/health ethics (that she’s termed biogeoethics) at Indiana University-Purdue University Indianapolis (IUPUI). Sarah is also the founder and director of the scholarship and outreach organization the National Council for Science and Faith (NCSF). She is an environmental ethicist, bioethicist, and geoscientist (biogeoethicist) with a vision of encouraging ethical and sustainable behavior within all aspects of communities, from neighborhoods, churches, and schools to factories, fields, and buildings. She has expertise in green design, including sustainability science, bioethics, energy efficiency, environmental policy, ecology, environmental compliance/enforcement, and systems thinking. She integrates science into everyday life, including encouraging the acceptance of science in faith communities. She holds a BA in Environmental Ethics and an MS in Geology. Arvin Gouw is the vice president for research and development overseeing the BeHEARD (Help Empower & Accelerate Research Discoveries) and RGTF (Rare Genomics Task Force) divisions of Rare Genomics Institute, where he leads crowdfunding efforts for rare disease personalized medicine research, predominantly for children, and develops novel online and mobile platforms to connect patients to medical experts. Arvin is currently a fellow at Stanford and Berkeley studying the role of metabolism in cancer and stem cells, where his work is under the entrepreneurship program of SPARK at Stanford, while leading the entrepreneurship program, BPEP (Berkeley Postdoc Entrepreneur Program) at Berkeley. He is also an affiliate faculty at Harvard, given his interest in the intersection between science, policy and religion regarding genomics ethics. Prior to Stanford, he served as associate pastor in Philadelphia, during which he did his fellowship on science and theology at Princeton Theological Seminary. Arvin received his Ph.D. in pathobiology from Johns Hopkins University School of Medicine, M.Phil in philosophy from University of Pennsylvania, M.A. in theology from the Ecumenical Institute of Theology of St. Mary’s Seminary & University, M.A. in endocrinology and B.A. in molecular biology both from UC Berkeley. The Reverend Zachary Jackson is the pastor of Community United Church of Christ in Reading PA as well as an adjunct professor of theology at Palmer Theological Seminary. He holds a Bachelor’s Degree in Ancient Languages from Wheaton College and a Masters of Divinity from Palmer Theological Seminary. As a child, Zack dreamed of being a rocket scientist, but after being accepted to several engineering schools, he felt an unmistakable call to ministry instead. Throughout Zack’s ministry, he seeks to explore how scientific inquiry and the scientific method can inform a more humble, reverent, and honest faith in God. To that end, Zack writes a science and faith blog (http://musicalspheres.blog) and is one of the organizers for the United Church of Christ’s Science and Technology Network. He is also on the UCC’s Environmental Justice Team and is particularly passionate about how climate change and environmental damage disproportionately impact the poor and underrepresented in our world. Timothy Maness is a doctoral student at Boston University’s Graduate Division of Religious Studies, and he has been interested in questions of science and religion since childhood. He grew up certain both that he wanted to become a scientist and that nothing in his Christian upbringing conflicted with that desire. Eventually, Tim received a bachelor’s degree in physics from the University of Chicago. While at university, however, he became fascinated with the formal study of religion, which offered opportunities to pursue some of the questions that had always inspired him. Today, Tim is a full-time scholar of religion and science. His dissertation research discusses the way concepts of time affect Western religious traditions’ ideas about human freedom, and examines the implications of the special theory of relativity for those traditions’ views of time. He has also written and spoken about religion and science studies as a dialogue between different approaches to knowledge—one that might offer helpful lessons at a time of public debate about the very meaning of “facts” and “truth.” Outside of the academy, Tim has taught high school physics, worked at science museums, and helped to edit the Papers of George Washington. He lives with his wife in Princeton, New Jersey. Kendra M. H. Moore is a PhD student at Boston University’s Graduate Division of Religious Studies. She primarily focuses her work on the psychology and neuroscience of religion. She graduated with a Bachelor of Behavioral Sciences from Hardin-Simmons University in Abilene, Texas, and subsequently graduated with a Master of Theological Studies from Boston University. Her research centers on the role of the religious imagination and how our knowledge of this role might unveil the cognitive constructs that influence human behavior on an ethical and moral level. This research addresses how central and authoritative religious images (such as concepts of God and afterlife) construct or deconstruct human relationships, institutions, biases, rituals, and ideas of self. Kendra hopes her research can further our understanding of how to be responsible bearers of the concepts that inform our perspectives of the world. When she is not reading and writing, Kendra enjoys being outdoors, and in Boston this often means walking around the Chestnut Hill Reservoir or kayaking and paddleboarding on the Charles River. Adam Pryor is Assistant Professor of Religion and Director of Core Education at Bethany College in Lindsborg, KS. A scholar of science and religion, having taken his Ph.D. at the Graduate Theological Union working under Robert Russell at the Francisco J. Ayala Center for Theology and the Natural Sciences, Dr. Pryor’s primary research concerns issues related to emergence theory, the origins of life, and reconceptualizations of embodiment. Working principally within Christian theology, his previous monographs include The God Who Lives: Examining the Emergence of Life and the Doctrine of God (Pickwick Publishing) and Body of Christ Incarnate for You: Conceptualizing God’s Desire for the Flesh (Lexington Books). His current research, which he began as a member of the Center of Theological Inquiry’s recent research program on the societal implications of astrobiology, considers how astrobiology effects Christian understandings of the imago Dei, driving us toward a vision of human being concomitant to work being done in environmental humanities. Dr. Pryor is concerned with how scientific concepts and problems can serve as a table around which interfaith dialogue can take place. Scientific research pushes us to ask personal, existential questions of deep religious significance, whether this is intended or not. As a fellow he is interested in more deeply considering how these existential questions provide vantage points on one’s own religious or non-religious ways of understanding the world as a meaningful whole that can then be catalysts for building relationship across religious differences. Myriam Renaud is a Ph.D. student in religious thought at the University of Chicago’s Divinity School. Her inter-disciplinary research falls at the intersection between theology and ethics. In her nearly-completed dissertation, she focuses on the ideas that theists have about God and how those ideas influence their moral decisions. Myriam has started work on a second project, researching the ideas about God held by three theologians—a Muslim, a Jew, and a Christian—and developing a method of comparison. She is Principal Investigator and Project Director for the Global Ethic Project of the Parliament of the World’s Religions, where she is spearheading work to expand the Global Ethic (a document that expresses moral directives shared by the world’s religions) to include a moral directive related to sustainable development and care for the natural world. 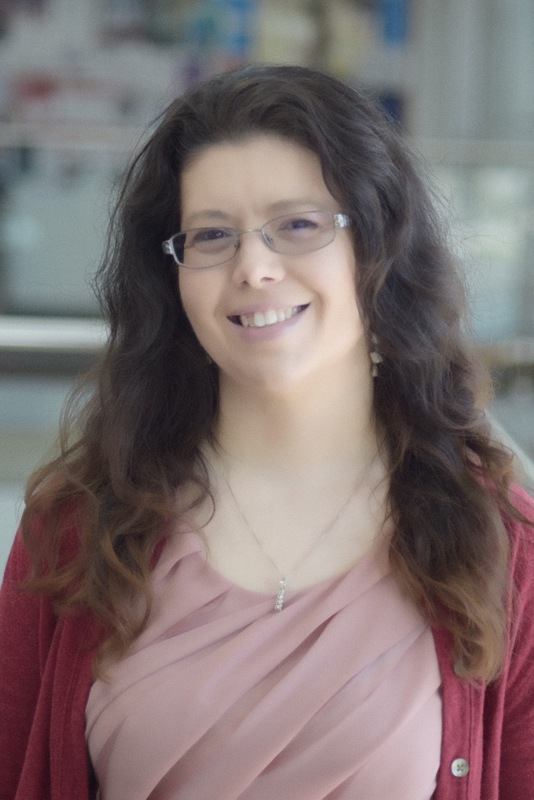 Raised in the Unitarian Universalist tradition, Myriam is an ordained minister affiliated as a Community Minister with the DuPage Unitarian Universalist Church in the Chicago area. She also writes about religion in public life for popular media like The Atlantic online, Religion Dispatches, and Sightings. Myriam is a finalist for the 2017 Religious Newswriters Association’s Chandler Award for Student Reporting on Religion. Adam Reynolds studied physics at the Massachusetts Institute of Technology, and, even though he meandered out of physics as avocation, he wasn’t able to find his way out of the labyrinthine hallways of MIT. He’s still there, serving as one of MIT’s chaplains where his chief interest as a chaplain is bolstering the spiritual health of the community by promoting self-awareness, spiritual exploration, emotional literacy, self-care and relationship-building through interfaith dialogue. Adam also loves helping students find integration and harmony between science and spirituality. Happily, working with MIT students, he is frequently able to geek out in conversations about cosmology, chemistry and quantum computing. Dr. Ashlynn S. Stillwell is an Assistant Professor in the Department of Civil and Environmental Engineering at the University of Illinois at Urbana-Champaign. She is a member of the Environmental Hydrology and Hydraulic Engineering faculty, and also among the faculty in the Energy-Water-Environment Sustainability program. Dr. Stillwell teaches courses on water resources engineering, stochastic hydrology, and water policy. Her signature course, Water Technology & Policy, synthesizes engineering and policy content pertaining to water in an interdisciplinary educational setting, focusing on both technical concepts and communication. Dr. Stillwell has authored many publications on the energy-water nexus, including her award-winning master’s thesis, and has a growing research program at UIUC. She earned a B.S. in Chemical Engineering from the University of Missouri (2006), and an M.S. in Environmental and Water Resources Engineering (2010), M.P.Aff in Public Affairs (2010), and Ph.D. in Civil Engineering (2013) from The University of Texas at Austin. Her previous work experience includes consulting engineering at Burns & McDonnell (2006-2007) and policy research at the Congressional Research Service (2009). Dr. Stillwell received the 2015 Girl Scouts of Central Illinois Woman of Distinction Award in Science, Technology, Engineering, and Mathematics, and has been among the List of Teachers Ranked as Excellent by their Students. She serves on the Board of Directors for the Girl Scouts of Central Illinois and Faith in Place. Her research interests include urban water and energy sustainability, water impacts of electric power generation, green stormwater infrastructure, and environmental policy. The Reverend Doctor Ruth E. Shaver completed 10 years as the Pastor and Teacher of The United Church of Schellsburg United Church of Christ in Schellsburg, Pennsylvania in August 2016. Prior to her tenure there, she was first Director of Christian Education and Youth Ministry and then ordained to the Christian Ministry as Minister of Christian Education and Family Life at Second Congregational Church United Church of Christ in Attleboro, Massachusetts. Rev. Dr. Shaver is completing seven years on faculty as the Instructor in Biblical Studies at the Penn West Academy for Ministry, and is a facilitator and Advisory Board member for the PATHWAYS licensed ministry program of the Southeast Conference. She is a member of the Steering Committee for the Regional Theological Education Consortium of the United Church of Christ. At the graduate school level, Rev. Dr. Shaver served as the Teaching Assistant for Roots of Wisdom I: Exploring Philosophical Thinking at Lancaster Theological Seminary in Fall 2016. She earned her Doctor of Ministry degree in 2016 from Lancaster Theological Seminary in Lancaster, Pennsylvania, with a dissertation project titled, “I Wonder: Scientific Exploration and Experimentation as a Practice of Christian Faith.” She holds a Bachelor of Arts degree in Soviet and East European Studies from the College of Liberal Arts (now College of Arts and Sciences) and a Master of Divinity degree from the School of Theology at Boston University. During her break from settled ministry, she worked as a substitute teacher in public school systems completed a book manuscript based on her dissertation. She hopes to have both the book and the curriculum from her dissertation available soon for use in local churches. She is in the search and call process for intentional interim/designated term pastor roles in the United Church of Christ. She resides in Attleboro, Massachusetts. Dr. Gregory I. Simpson brings with him over 25 years of experience building awareness and building programs that disrupt the religion and science divide. He holds both M.Div ‘16 and S.T.M. ‘17 degrees from Union Theological Seminary as well as a Ph.D. in Chemistry from the University of the West Indies. As a student at Union, he was the co-founder of the Theology, Science and Religion Caucus, whose central role was to educate and inform seminary students on issues of science and faith. He was on the strategic planning committee for the Religions for the Earth Conference, which brought over 200 religious and spiritual leaders to Union in the same year, culminating with the launch of the Center for Earth Ethics. He has been a volunteer at the Center for Earth Ethics since its founding in 2015, participating in and leading workshops on eco-justice for the Center’s Eco-Ministers Training program in 2016 and 2017. He is certified by the Climate Reality Project as a climate justice speaker, and most recently he represented Union and the Center at the UPROSE’s Youth Climate Justice Summit ’17, with over 300 middle and high school students in attendance. Dr. Simpson is a member of First Presbyterian Church in Manhattan and is pursuing ordination in the PC (USA). Ufuk Topkara studied History and Philosophy at Humboldt University of Berlin and Harvard University. He completed his doctoral dissertation with the Graduate School of Islamic Theology at the University of Paderborn, Germany, analyzing the convergence of reason and faith in Islam. He has been active in promoting inter-religious dialogue since 2005 – as an expert on Islam for the Evangelical Academy Berlin, as a member of the Jewish-Turkish Roundtables for Dialogue and with the Catholic Academy Berlin. Mr. Topkara was the first Muslim to become a Tour Guide at the Jewish Museum of Berlin. He was a Humanity in Action Fellow in New York in 2006 and worked in the US Congress as a Humanity in Action-Lantos Fellow in Washington in 2007. Currently, he is a residential fellow with the University of Connecticut’s Humanities Institute.